“Your room looks good, girl,” Vina Gray tells one of the women living in Room 9. 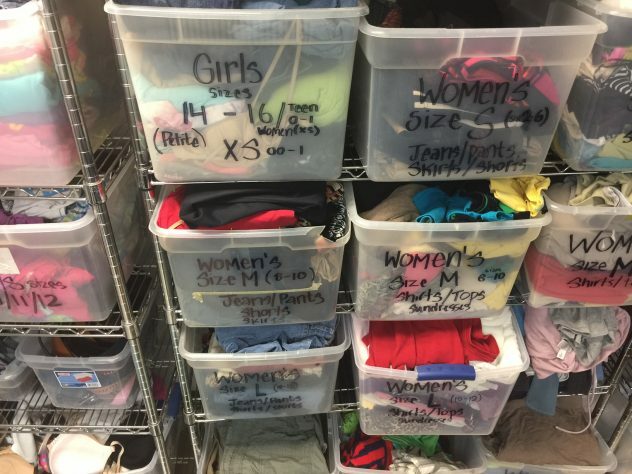 It’s laid out like all the other rooms in the Fort Bend Women’s Center shelter: two bunk beds on either side of the room; a desk in the middle below the window; and a closet and bathroom by the door. But the two women staying here have personalized it. There’s wallpaper around the mirror above the sink in the main bedroom, a collage of photos by the closet and a crowd of brightly colored stuffed animals surrounding a bible on one of the beds. When Gray, services coordinator at the center, tells the director, Vita Goodell, about the wallpaper, there’s a moment of hesitation. “Did she really do wallpaper?” Goodell asks. Yep. “So our cleanup is going to be…” Yep. Opened in 2001, the Fort Bend Women’s Center’s shelter is housed in an intentionally nondescript, one-story brick building. The address is kept confidential to protect the women (and sometimes men) who come to the shelter fleeing domestic violence. The center, which started as a hotline in 1980, is the only shelter in the suburban county southwest of Houston, and it serves other nearby counties as well. Since 1992, it’s also been providing rental assistance to help clients live independently while they get on their feet. That’s the goal: to get domestic violence survivors out on their own. But that’s become increasingly difficult to do, according to Goodell, largely thanks to one reason: a lack of affordable housing. As master-planned communities sprout across Fort Bend County, there are fewer apartments available that many of the center’s clients can afford, and the federally-funded assistance to which they may have access — part of the Emergency Solutions Grants program — comes with maximum rent limits that are often unrealistically low for the area. So in 2016, the center tried a different approach. If its clients couldn’t find affordable housing on their own – even with government assistance – it would build it for them. Even better, the facility would have services on-site that would allow Fort Bend Women’s Center to support clients, even when they’ve moved outside the shelter. The center put together an application for a low-income housing tax credit, also funded through the federal government, that could help finance construction of a 104-unit complex in Fort Bend County they called Magnolia Gardens. “They’ve given up so much and they need something to call their own.” Photo by Leah Binkovitz/Kinder Institute. But the local community pushed back, circulating online petitions objecting to the “low-income” project. In the end, the local homeowner’s association didn’t give the go-ahead to the municipal utility district to provide critical hook-up to water and sewage, effectively killing the project. So in January, Goodell submitted the pre-application for another round of tax credits once again, hoping she could make the case at a new location to a new set of homeowner’s associations and residents. She went to meetings with concerned neighbors and handed out her cell phone number for anyone with questions. It didn’t take long to start hearing those concerns: decreased property values, crowded schools, increased crime. The list went on. For anyone working in the affordable housing field, these are common charges leveled at low-income developments, and though there are specifics to each case, some of the concerns are not supported by research. This summer, the project fell through – yet again – in the face of local opposition and other complications. Still, Goodell keeps trying to get the facts out there. Like how most studies “have found that affordable housing does not depress neighboring property values, and may even raise them in some cases,” according to the Center for Housing Policy. The Lamar Consolidated Independent School District confirmed that it had worked with Goodell to ensure the expected number of kids in the Magnolia Gardens apartments – roughly 80 – wouldn’t overcrowd the schools. The elementary school closest to the second location, McNeill Elementary was actually projected to lose students over the next 10 years, according to a demographics report from the district. Low-income housing tax credits have been one of the main ways affordable housing gets built in Texas and elsewhere. Through a competitive process and with federal funding, the state’s housing department awards a limited numbers of tax credits to proposals that either construct new or rehabilitate old affordable housing, promising to keep it affordable for a set number of years. The developers then sell those tax credits over a period of 10 years. In Houston, recently ranked the third-least affordable metropolitan area for low-income renters in the country by the National Low Income Housing Coalition, affordable units are in high demand. Waitlists for public housing are long and only occasionally open up. In the Sunshine Room, staff watch the infants and young children while their parents search for jobs and housing, meet with caseworkers and go to appointments to start a new life after the shelter. Photo by Leah Binkovitz/Kinder Institute. In the Houston metro area, there is a shortage of roughly 185,197 affordable units, according to the NLIHC report, and that’s just for extremely low-income households. Many more in the Houston area are considered cost-burdened, spending more than 30 percent of their monthly income on housing. The need is particularly acute for domestic violence survivors, the overwhelming majority of whom also experience some form of economic abuse, whether it’s losing their job due to the abuse, not being given access to family accounts or being allowed to work at all, or putting all accounts in the abuser’s name. Public units can’t keep up with demand, leaving the low-income housing tax credit as a way to incentivize private or non-profit development of affordable housing. But the tax credit application is a competitive process. Proposals have to come with a detailed application, and each are ranked according to the guidelines the state puts forward each year. Projects can earn points for things like locating near a good school, being in a census tract with a relatively high median income, or having transit access. They also have to win community support. A vote of support (or the less-enthusiastic “no objection”) from the corresponding municipality can help give applications a green light. But developers can often face strong local opposition that can sway politicians, something that proved trickier in the center’s second attempt at building its apartments. Some affordable housing projects – like those built to serve senior citizens – are often easier to get approved. But there are gaps everywhere. “What winds up happening is developers look for where [there’s] the least amount of resistance,” explained Tory Gunsolley, president of the Houston Housing Authority at a symposium on affordable housing issues in Houston in February. On a whiteboard in the front office, staff at the women’s center track who is staying in each of its 14 rooms. Each room has one or two first names, with numbers next to them indicating how many kids each person has with them. Some of the women are pregnant and may have to bring their newborns back to the shelter. Vina Gray looks through the donated linens and shoes to see what the shelter is low on. Photo by Leah Binkovitz/Kinder Institute. 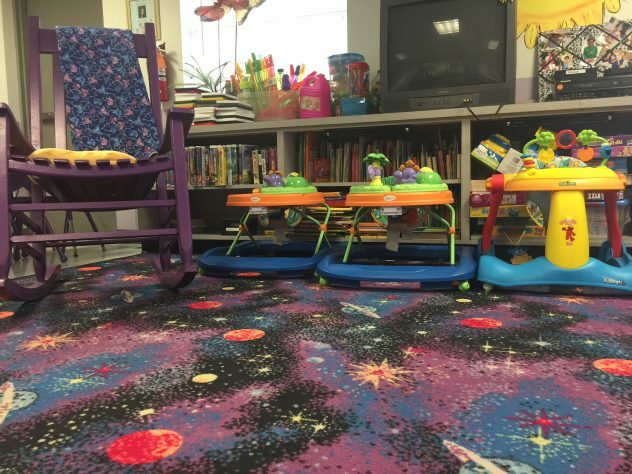 There’s a computer lab, a cafeteria, a lounge and daycare, plus a row of offices with case managers and a nurse. 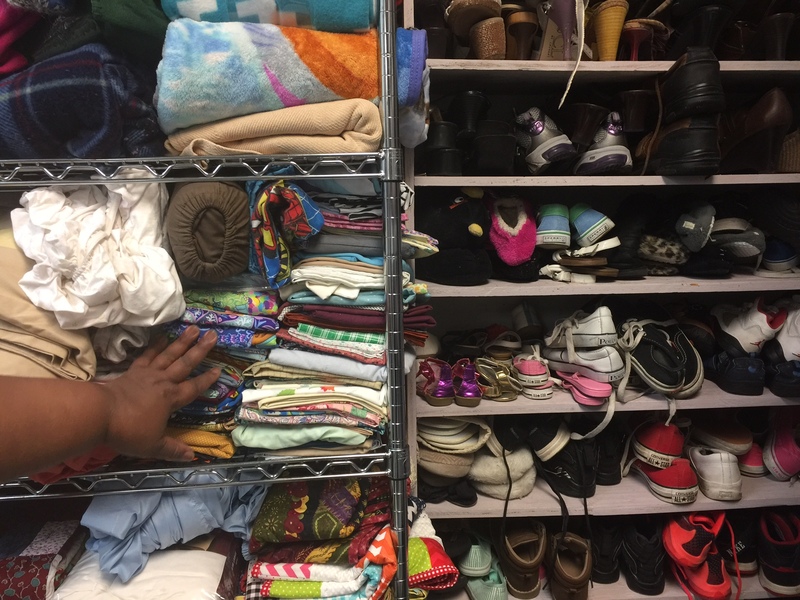 In the linen room, clients can get deodorant, pillow covers, clothes – all the things they left behind when they fled an abusive partner or family member in a hurry. “When the ladies first get here, they’re fleeing, they’ll come in with nothing, just what they have on,” explained Gray. For Elizabeth Northrop, who goes by her middle name, McCall, that wasn’t much. Marriages, divorces, violent threats and drunken fights. The tumult didn’t feel normal — she knew it wasn’t. But it was all she knew. “If a woman gets out of her place, you put her back in her place.” That’s what she was taught as a child. But when she saw her husband start to emotionally abuse her daughter, she said, she had a moment of clarity. “When am I going to get away from this?” she asked. Tragedy struck when her one-year-old son died while the family was staying in a hotel, shortly after moving to Houston from the Austin area. His cause of death is still undetermined, according to the medical examiner, the Harris County Institute of Forensic Sciences. At the time, in shock and grieving, she said she voluntarily surrendered her other two young children to Child Protective Services. But what followed was a process she described as often secretive and hostile that has left her feeling gutted again after the loss of her son. CPS declined to comment on the specific case, citing confidentiality concerns, but a spokesperson said in an email, “CPS believed the children weren’t safe at home and the judge agreed to grant CPS temporary custody,” adding that generally, “CPS wants to reunite children with their parents and tries to help them achieve that goal.” McCall has said her children were always happy with her and neighbors at the hotel remembered seeing them playing outside together, according to local news reports at the time. Eventually, the veterinary office where McCall was working as an office manager stopped putting her on the schedule, she said, but she stayed determined, securing a spot in the Fort Bend Women’s Center shelter. Here she gets counseling, meets with case workers and searches for work. She just got approved for financial aid to start school. The other day, she held another woman’s baby at the center. It was the first time since her son passed away. She’s trying to find a different lawyer to fight for her custody of kids, and she’s looking for housing, a critical part of establishing herself as a fit mother, she said. But the clock is ticking. “I’m fighting,” said McCall. Photo by Leah Binkovitz/Kinder Institute. McCall carries a white binder with her. It’s several inches thick and stuffed with records. 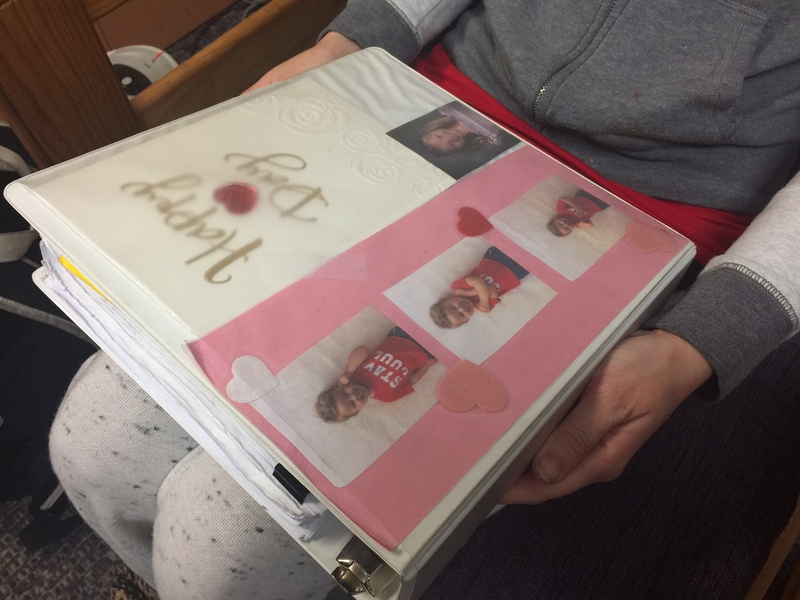 Beneath the clear plastic cover are pictures of her son and daughter. Each week, she said, she emails CPS to update them on her progress. She writes letters to her daughter. “I don’t want them to think I didn’t care,” she said, confronting the increasing reality that she may never get them back. Goodell was optimistic about the apartment complex’s prospects in February. But by March — after developers sized up the competition, deals fell through, or other complications emerged — the list of low-income housing tax credit applications submitted to the state for the Houston area in the next round had shrunk from 54 to 13. Willow Grove Apartments wasn’t on the list. More than half of the remaining proposals were for senior citizen housing. In 2016, the Fort Bend Women’s Center Magnolia Gardens proposal had a competitive score that won them the tax credit. But this time around, thanks in part to a new rule that incentivizes locating projects near the urban core – not something a shelter that serves suburban and rural communities prioritized – the score was five points lower. That was a big enough difference to make Goodell nervous about their prospects. To boost the application, Goodell would have to secure support from the various jurisdictions the property was part of – the City of Houston, which voted to support it; State Rep. John Zerwas, who had written a letter of support for the first proposal but said he was hesitant to do so again given the local resistance; and the Fort Bend County Commissioners, which proved to be another hurdle. “I told the prospective owners of the apartment project that I would support the project if they secured support from the community for the project,” said County Commissioner Andy Meyers, in an email. But he said, there were concerns about the local utility district’s ability to support a large apartment complex, concerns Goodell thought could be addressed. But a lawyer with the municipal utility district said it couldn’t offer any assurances right now since the infrastructure was undergoing a years-long expansion. Then the homeowner’s association lined up against the project. Facing more community pushback and potentially having to forego more points in the competitive process without key community support, Goodell said, “we decided that we just needed to try another way.” Considering a range of options, for now, it seems the competitive tax credit route is off the table, meaning plans for the apartment complex are back to square one.